Plastic garbage and trash bags are used across the globe due to its versatility and it is almost impossible to do without it. Unfortunately, plastic has adverse effects on the environment and we are forced to look for cost effective alternatives for it. If you company requires the use of plastic bags and you are looking for a cost effective substitute, read to know how to make a substantial saving on your garbage bag spends. So what is the alternative to this? Most of us think it is recycled plastic bags. While this is a good option, especially for the environment, recycled bags are not exactly cost effective. They are manufactured from used/reused congregated plastic waste. Cleaning and preparing used plastics takes a lot of water, energy, and effort. Additionally, as they are made out of plastic waste, to maintain their agility and strength, it is necessary to keep their thickness at more than 60 microns. As a result, the recycled plastic bag gains about 50% more weight than those of virgin bags. If recycled plastic bags are out of the equation, what is to be used? The simple solution is using Oxo bio-degradable garbage bags. Oxo-bio degradable bags are a technically advanced and innovative range of product that is environmental friendly. These bags are manufactured from polymers like HDPE, LDPE and LLDPE, which degrade quickly making them environment friendly as well. Apart from the environmental benefits, these bags are also cost effective. By adding specific ingredients and basic polymer, plastic bags can easily be converted into Oxo bio-degradable ones, providing a safer and cost effective solution. They can also be made with the same machine and workforce of a virgin plastic bag. Since they are made of raw ingredients, it is possible to maintain the strength of the bags. In fact, there is no difference in quality, texture, or strength between regular and Oxo-biodegradable plastic. However, recycled plastic bags, do not provide this with Oxo bio-degradable bags, it is even possible to customize the thickness of the bags as per the individual’s needs. 50 micron in Oxo bio degradable HDPE virgin material would have an higher strength than 80 micron recycle bag. It is evident that using Oxo bio-degradable bags is a cost effective and safe option for any business. So change to oxo bio-degradable bags and make a considerable saving! We endeavor to create economically viable solutions through our innovative and technologically advanced product range that are sustainable and environmental friendly. We constantly strive to promote the awareness and advantages of our environmentally friendly product range among the corporate customers through seminars and awareness drives. 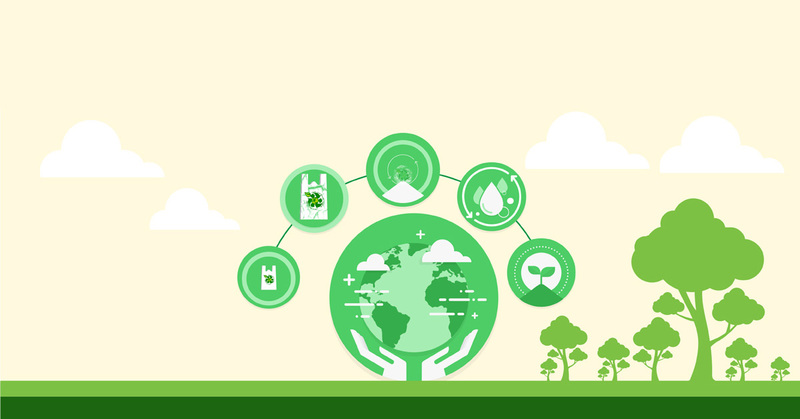 We help corporates move to environmentally friendly products and solutions by investing in a superior technology while also keeping the spending very low. We are a highly environmental friendly organization having to our credit a wide portfolio of innovative products. Some of the best advantages of working with us include investing in the best quality products, possibility to customize the products to your exact needs, availing superior customer service, ability to save on costs and implement environmental friendly practices.Contact us to know more about our company and products range. We will be more than happy to depute our team to present a seminar at your premises to discuss more on the advantages of moving to our products.